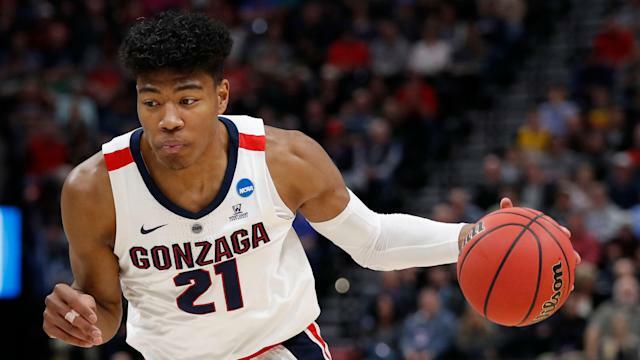 Rui Hachimura has played his last game for Gonzaga. The Bulldogs star announced Monday through the school that he intends to declare for the NBA draft and will hire an agent, officially putting an end to his NCAA eligibility. A projected lottery pick, Hachimura is expected to be the first Japanese-born player selected in the NBA draft. Hachimura averaged 19.7 points and 6.5 rebounds while shooting 59.1 percent from the floor and 41.7 percent from 3-point distance as a junior, earning West Coast Conference Player of the Year honors. A 6-8 forward, Hachimura is projected to go as high as the top 5 in the NBA draft.